This project provided the knowledge acquisition and completion of the genomic sequence of Streptomyces tsukubaensis by INBIOTEC, by means of the validation of identified genes, the discovering of new ones and the incorporation of functional information on the genes role in the production of tacrolimus. The outcome has also enabled the development of a microarray processing methodology based on: data normalisation and the implementing of measurements according to the output variable (such as PCC, ICC, etc.) the development of proprietary co-expressed genes identification algorithm, and the development of biological replica fusion methods. All this led to the identification of gene clusters, which helps to understand their role and their relational processes, since the functionality of certain genes can be inferred once the functionality of other genes from the same cluster is known. 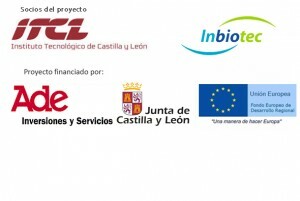 The project has brought the participating Technological Centres together in a working alliance that enabled the analysis of temporary microarray series, the development of experimentation and the optimisation of the culture media, and the analysis of pathogens analysis and their life conditions so that their effect on product expiry can be cancelled.